Jaffa the Border collie was a very unhappy dog at our first behaviour consult. He had been banned from his vet practice due to aggressive behaviour during an examination. After a full behaviour consultation, Jaffa had a long list of problems, predominantly aggressive behaviour when anyone tried to touch him, even when the owners tried to put his lead on. Underlying this aggressive behaviour was fear and anxiety, I also suspected pain, but as the vet was unable to carry out an examination, there was no way to confirm this or allow the vet to prescribe any medication. I advised Breakthrough dog food initially, after a few weeks we began a desensitisation program at the Vet practice. Jaffa was more relaxed and able to cope and learn over a period of time. He now walks happily into the vet practice, has been examined by a vet surgeon, and has been prescribed pain relief for arthritis. 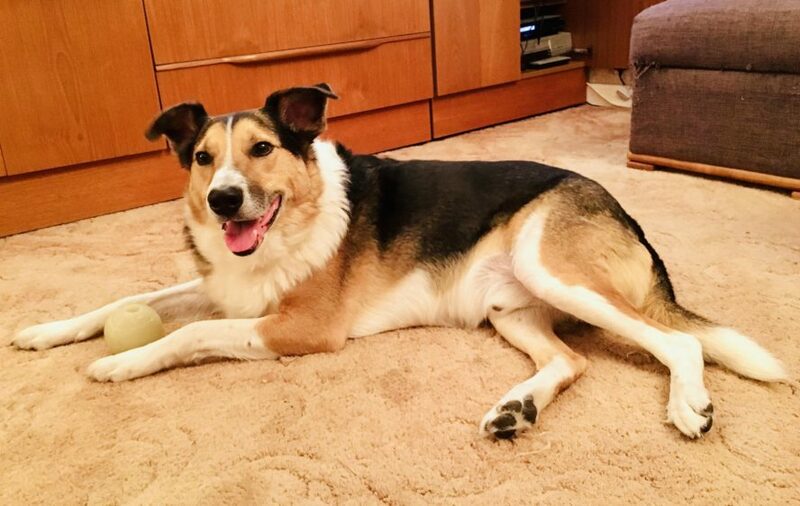 Jaffa is still on Breakthrough dog food, we are continuing the desensitisation treatment, he is making great progress and the owners are very happy.